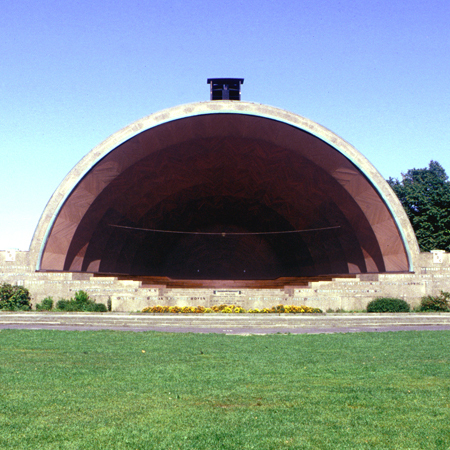 As the USA was preparing for its 200th anniversary, the Esplanade amphitheater in Boston was getting an upgraded outdoor sound system. On July 4, 1976 Arthur Fiedler was to conduct the Boston Pops in a very patriotic celebration of music accompanied by fireworks. John F. Allen (photo), in the employ of the Boston Symphony, installed eight Klipsch LaScala’s - four per side with McIntosh amplification. The Bicentennial event was only the 3rd use of this system. It had a staggering attendance of over 400,000 that actually made it into the Guinness book of world records. The feeds from this system were the source for all outlying sound reinforcement, as well as the CBS television network. In 1978 Mr. Allen augmented the system with a center channel comprised of an MWM woofer, 2 MSM squawkers, and an MTM tweeter. 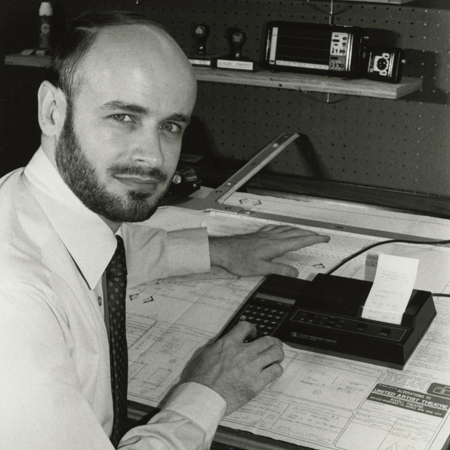 Klipsch engineer, Dan Bynum, designed the custom passive crossover network. As the left and right speakers were separated by more than 100 feet, the center channel greatly improved the stereo image, not to mention bringing welcome acoustic horsepower. To get the center channel positioned on top of the shell was challenging. There is a 1929 elevator system that works on four screw “jacks." This equipment was put to the test in terms of load-capacity, as well as dimensionally. There was only about an inch to spare! This is believed to be the first MCM installation in New England.